Changing What's Normal - Ian Berry's Blog: Are you seriously good at giving presentations? How to give a great presentation (seriously) is a great post by Mitch Joel. Being seriously good at giving presentations is a skill all entrepreneurs and intrapreneurs must have. In addition to being great at telling stories (see yesterdays post) and using humour (which doesn't mean telling jokes) there are many other skills you need. Despite being a professional presenter for more than two decades I continue to study the art religiously and hone my skills every week. You should be too. I recommend two books on speaking/presenting. 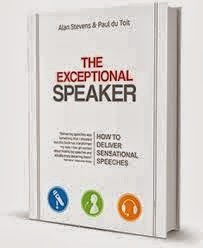 The Exceptional Speaker by two masters Alan Stevens from the UK and Paul Du Toit from South Africa. 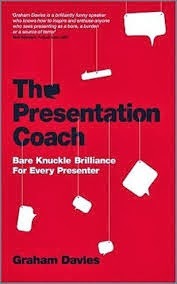 and The Presentation Coach by Graham Davies, one of the wittiest speakers I have ever witnessed and also one of the wisest. When you use slides (I only do in presentations longer than 90 minutes) I also recommend Presentation Zen, Presentation Zen DESIGN, and The Naked Presenter by Garr Reynolds and the work of Nancy Duarte and her team. 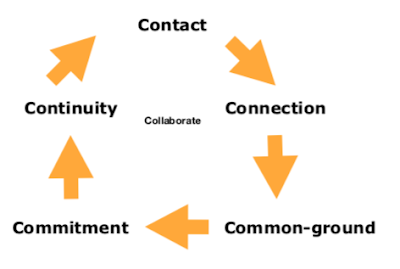 "I've discovered a few things about the spread of ideas: first, in-person interaction really can't be beat. While digital ideas spread far and fast, there's something really powerful about being in the same room. And second, it often takes more than an hour or two to really dig in and discover not just who else is in the room with you, but what's holding you back and what's available to move you forward." "Presentation skills are worthy of extreme obsessive study."